We are a non-government organisation (NGO) partnering with various other NGOs to engage disadvantaged children in the arts. 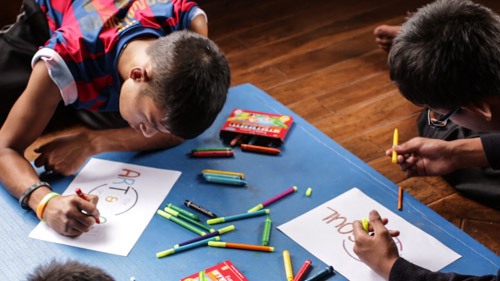 At The Art and Soul Foundation, we believe that children of all ages should have the opportunity to experience different forms of art, and be able to express themselves through it creatively. 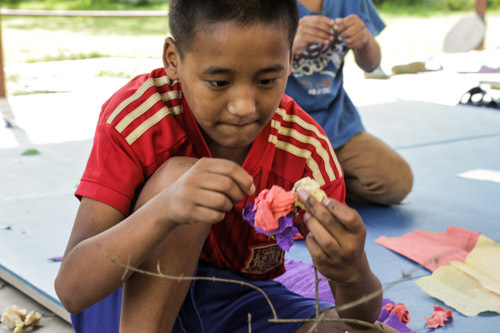 The children of Nepal are in general, discouraged to delve into the arts and rather, are pushed towards the sciences, especially as a career path. Most of them don’t even get a platform for their creative outlets, especially orphans, street children and earthquake-affected children. We aim to lay a good foundation of the arts for these children within our collaborative organisations in a way which will enable them to have fun, have a healthy childhood physically and emotionally, and also encourage them to follow through with their artistic capabilities and maybe realise their potential one day, with which they could even create a sustainable life within the community through the arts. Are inspiring, rich, varied and enjoyable. Challenge them to their full potential. Offer learning experiences of the highest standard possible, irrespective of gender, ethnic background, age or disability. Are designed to provide experiences which cover the full range of individual strengths and abilities through the widest possible range of activities. Willing to use their imagination. Curious about the natural world. Confident in using materials, tools and equipment safely and effectively. Thoughtful about what they are doing. Interested in the work of others and world of the artist, craftsperson and designer. Children will be encouraged to make progress by a regular access to art,craft and design activities which are aimed at their particular stage of development. Record responses, including observations of the natural and man -made environment. Design and make images and artefacts. Gather resources and materials, using them to stimulate and develop ideas. Explore and use two and three dimensional media, working on a variety of scales. Respond to and evaluate art, including others and their own work. 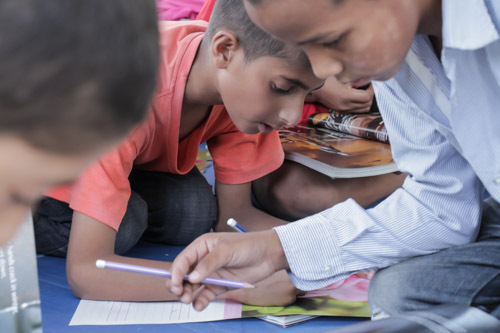 In order to develop visual literacy, children should be taught about the different ways in which ideas, feelings and meanings are communicated in visual form.